Are there any benefits of extended breastfeeding? There is a common belief that once a child turns one, it is time to wean him from nursing. It is almost like 11 months old - the breast milk is perfect, 13 months old - Mommy's milk is no good. Is there an expiration date for breast milk? No, of course, not! Pediatricians recommend nursing for 2+ years if a family can afford it. I am wondering, does a kids' doctor actually say it out loud unless you ask a direct question? With our extended breastfeeding, I looked up the benefits - just to make sure I am doing the right thing. The human milk is the most beneficial for human babies. Any other milk or formula is not that perfect. Unfortunately, this simple logic escapes those people who look at you with their eyes wide open and their mouth showing prolonged "Oh" sound. "Are you still breastfeeding? Really? Do you have anything left there?" It is annoying to hear it again and again. Please, give me and my toddler a break! The best benefit of nursing a toddler for me is the special bonding we have with my daughter. I feel happy that I am able to give her additional support, the sense of confidence and security, a personal space to rest and relax when she needs it the most. The older she is the more valuable her love and trust is! 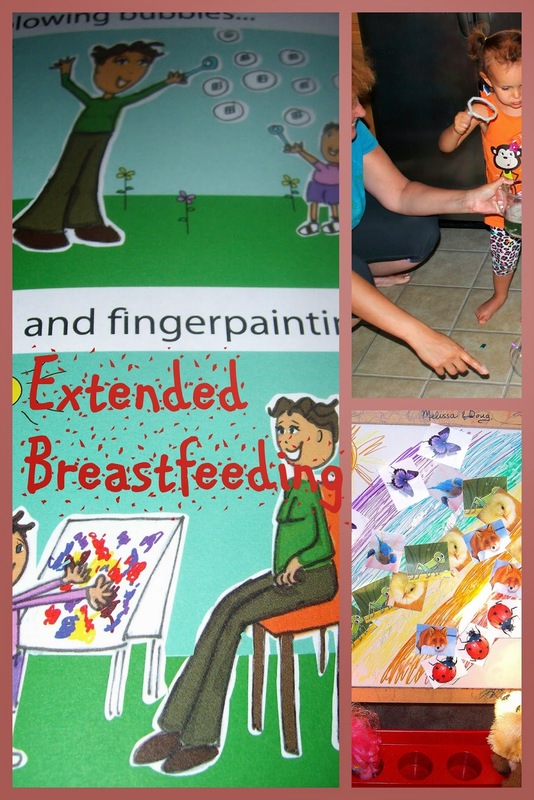 Extended breastfeeding is a lifesaver for the "terrible twos"! There is a significant challenge associated with extended breastfeeding. The longer you nurse, the more difficult it is to wean. As far as I learned from discussing it with other Moms, the process of weaning differ greatly for every family. A mother of two toddlers, "I am weaning my 12 months old because I have been nursing for years now - I am tired of nursing!" I can see myself thinking the same way if I were in her place. Weaning experience is different for different families. For some, it is very natural. The child just doesn't need nursing any longer. For my child, oh, weaning is a challenge! I was happy when I discovered a picture book to read with my firefly. She loves her new book very much - from the first reading! That's why I am very excited to introduce our favorite book to you! 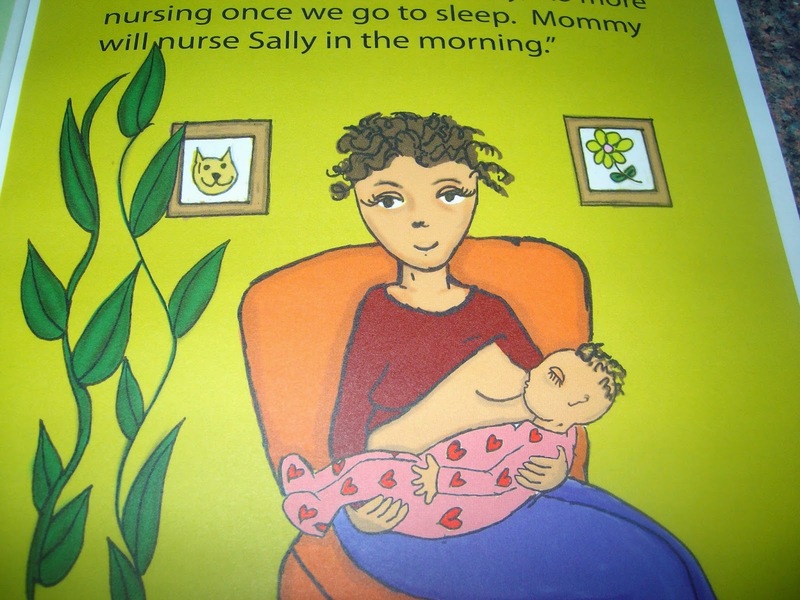 Lesli wrote this book for her daughter when they were facing the challenge of weaning from night nursing. The little girl was 18 months old at a time. The mother felt she could not breastfeed at night any more. "I personally needed to night wean my daughter because my lack of sleep and exhaustion was beginning to impact my energy level," she said. Mom made a decision to wean, but a toddler is smart enough and needs to understand what is happening to her. My firefly listens to my reading with her best attention and loves looking through the pictures. Of course, she does: this is a book written for her and about her in the most intimate way. If you are in need of a visual aid for gentle weaning from nursing, I highly recommend this book! What a great idea for a book! I BF past two years with my son. I stopped at 18 months with my daughter. Breastfeeding is such an amazing thing... I breastfed my twins past a year but because I was pregnant my milk dried up. My,youngest is now 10 months and I plan to go til at least 2 years. We'll see what he does and I'll follow his lead!